Today's post is going to be about splurging and saving. From looking at analytics, most of my readers are women between the ages of 18 and 40. Now in comparison to big-name bloggers like my personal favorites, Gal Meets Glam and Southern Curls & Pearls, I am not going to be the one to drop over $5,000 on a single item. I could never, ever justify that and it would break my bank account. 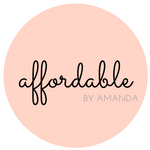 My blog is about being affordable because I live by buying on an affordable budget. I shop at Old Navy. I shop at Forever 21. I wander into Anthropologie and dream about $128 jeans that will be on sale one day. 1. Gucci bags are all over your Insta feed right now, right? Well save TONS of $$ by getting this Old Navy alternative for just under $14. 2. 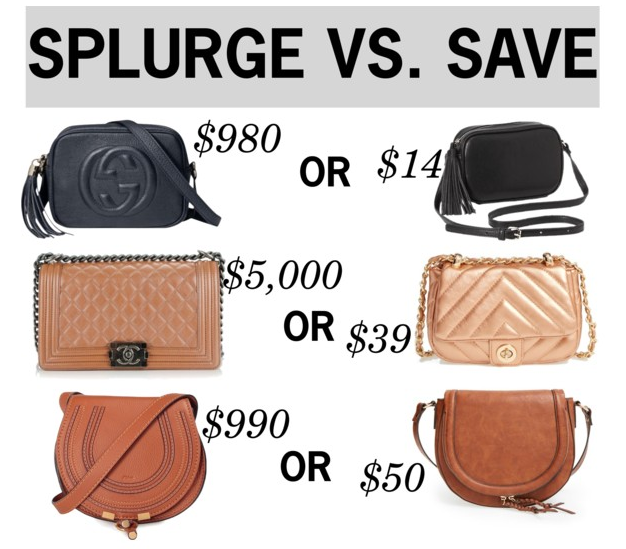 Forget about Chanel because those types of bags are ones I can dream about for now..but I can get the same look at Nordstrom (who LOVE to make designer dupes!) for under $40. 3. I think Chloe bags are super cool but will they be in years to come? Who knows. Trends come and they go so quickly...which means I can't invest in a $1,000 purse that could be 'out' in a year's time! This great dupe is $50 so I can get the look but save tons!